Planning on relocating, remodeling, cleaning out your garage, storing excess inventory or files, or simply have too much stuff and just need more space? Clearbrook Storage has the personal and business storage solutions for you. For your convenience, we also carry a full line of moving and packing supplies, including moving boxes, packing tape, and locks. Save money with Clearbrook Storage! Affordable pricing designed for your personal and business needs. We offer the flexibility of month-to-month leases or money- saving long-term discounts. From mini-storage to large size units - we offer a wide variety of sizes to meet your residential or business self-storage needs and budget. 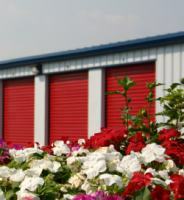 Our self-storage rental facilities are serviced for your convenience with added security. Open 7 days a week, our video surveillance, lighting, and electronic gates ensure your peace of mind. Clearbrook Storage offers business storage solutions to meet the needs of busy professionals including sales reps, pharmaceutical reps, manufacturers, retailers, professional services, and business owners. Free up valuable office, warehouse commercial space by storing files, records, excess inventory, furniture, equipment, seasonal displays, merchandise, promotional items and much more. We offer a wide variety of storage unit sizes to fit your needs as they change. We offer the flexibility of month-to-month leases and discounts for long-term rentals. Get the most value and convenience with Clearbrook Storage Business Storage Solutions! We will accept and coordinate third party deliveries and shipments from FedEx, UPS, USPS, DHL or others on your behalf. Discount on packing and moving supplies. Save money on moving boxes, file boxes, and on our affordable complete line of packing supplies for all your moving and storage needs. Other custom services available, including extended access hours for your business storage needs. Subject to availability - ask our staff for more details. Clearbrook Storage will operate at all times within the ethical boundaries demanded by our Self Storage Associations Membership. We at Clearbrook Storage look forward to developing a long term, mutually beneficial relationship with you our customer. We guarantee you the very best in self storage service and attention at all times. Clearbrook Storage provides a safe, secure self storage facility that is both convenient and affordable to our clients. We are committed to providing a level of service seldom seen in the Self Storage Industry. Our staff is fully trained in recognizing customer needs and we are dedicated to seeing that these needs are met. 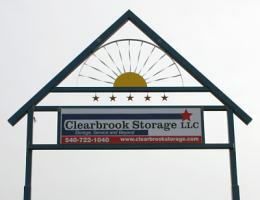 Clearbrook Storage LLC is conveniently located off I-81 between exits 321 & 323 on route 11 in Clearbrook Virginia. We offer safe and secure storage space for any need, from small personal storage areas to large-scale warehouse options. Call us at 540.722.1040 or stop by our facility to discuss your storage requirements.